Using insights from economics and psychology, we identify systematic patterns in behavior that are impacting your business goals. Our in-depth assessment of your business challenge allows us to pinpoint the most important behavioral considerations impacting the response to different interventions. We leverage those insights and test changes to strategy with intelligently designed, targeted experiments. These experiments uncover practical solutions based on concrete evidence and causal relationships. 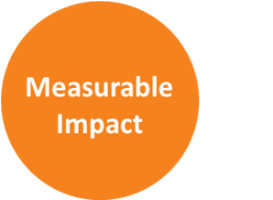 Our empirical tools use guided data, testing the causal relationship between a change in strategy and a response in behavior, giving companies an accurate measure of impact.